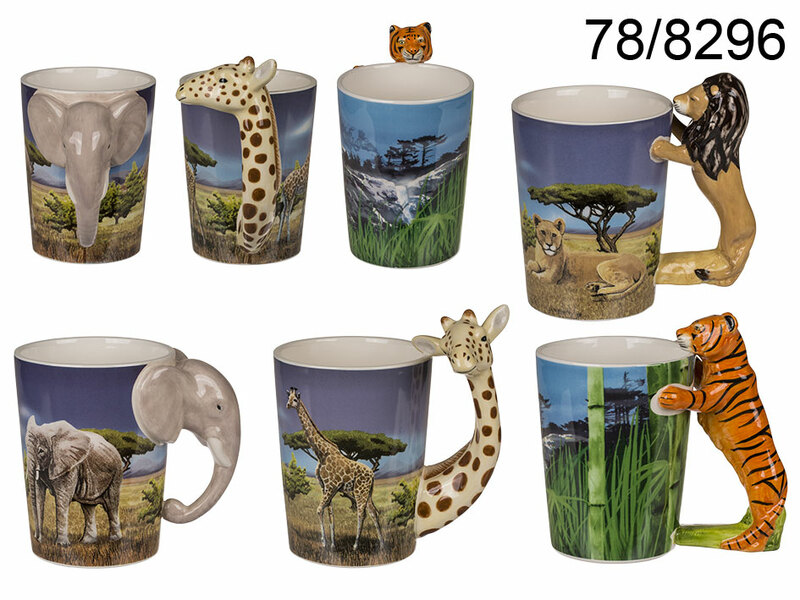 Beautiful ceramic mug with wildlife theme and a 3D handle in the shape of a wild animal. Amazing detailed item of everyday use. Eye-catching desk decoration. Several lovely models available - assorted.